Registration is now open for the 2019 Winter/Spring Season which runs January 3rd thru May 28th. The first two months are devoted to Winter Conditioning, an integral part of the rowing calendar necessary to build strength and endurance for success in competitive rowing. In mid-March, water training begins on the Cooper River. 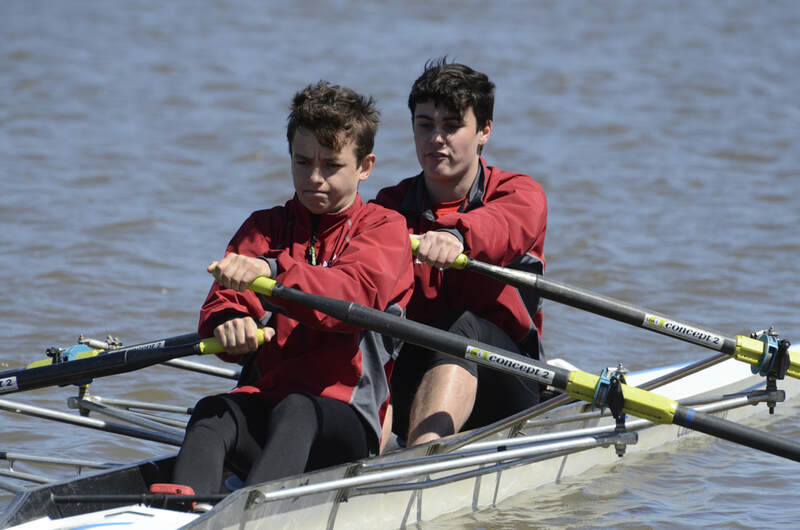 With approval of the Head Coach, some rowers can participate in a different winter sport and return to crew for on-water training. New to crew? Learn more about the team and sport. Visit our FAQ and Why We Row pages on this website. PROCESS: Complete and return required forms described at bottom of this page along with deposit by January 11, 2019.. Click here to view/download registration forms. Fee includes a non-refundable $200 deposit. While full payment at time of registration is preferred, the team offers a payment plan outline below. 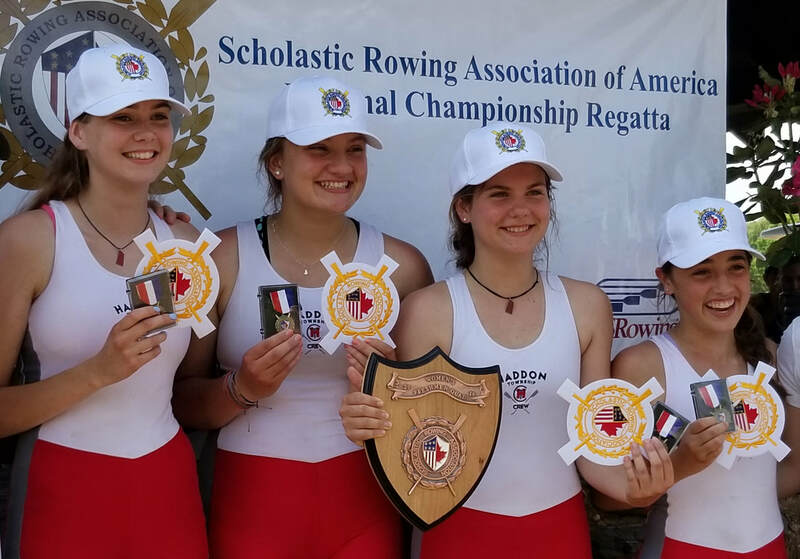 2018 Girls Freshman Quad takes first and wins national title with at Scholastic Rowing Association National Championships. 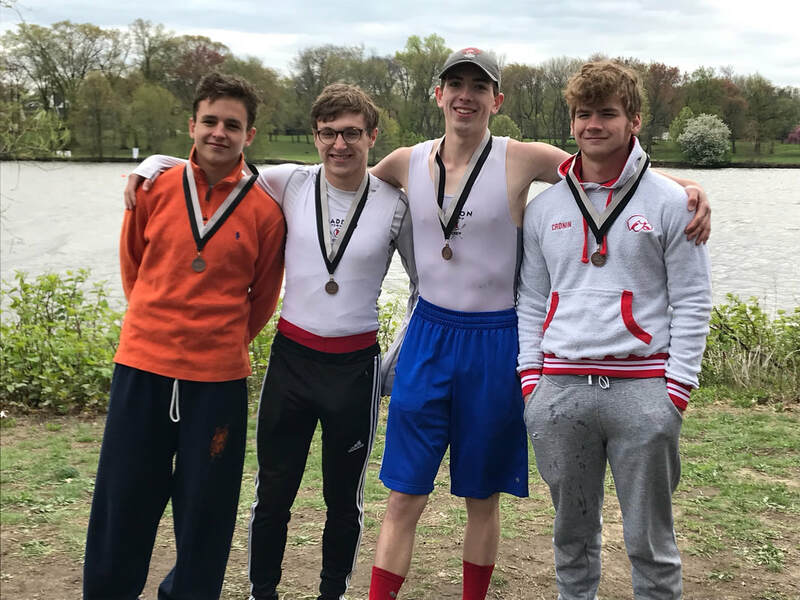 Boys Senior Quad wins gold and state title at Garden State Championship on Cooper River. The following documents must be completed and returned. Fall 2018 rowers you do not need to re-submit forms, but if contact information has changed please complete top portion of registration form.. Click here to view/download all forms. 2. HT Crew Code of Conduct - Signature Page. Please email us at htcrewclub@gmail.com.